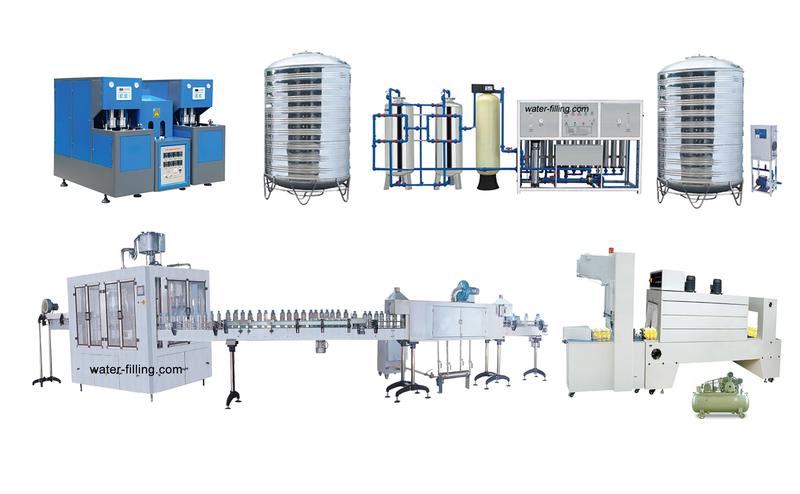 Our company’s small bottle water bottling line automatic accomplish whole process from blowing bottle, water purify, washing, negative pressure, filling, settle cap, buckle cap till screw cap, labeling, printing, packing. The whole bottled water production line adopt stepless speed regulation having advanced structure, it works placidly and reliable and easy to operate and maintain have low failure rate. It is a ideal equipment for small and medium beverage enterprises. Printing produce date on the bottled water.